On Saturday, May 12, Troop 50 bestowed the Boy Scouts of America’s highest rank during a ceremony honoring new Eagle Scout William “Liam” Henry Schallock III. Liam appeared before the Saugahatchee District’s Eagle Scout Board on February 20, 2018, making him the troop’s 17th EagleScout, and one of two Scouts to receive the Eagle Scout rank so far in 2018. 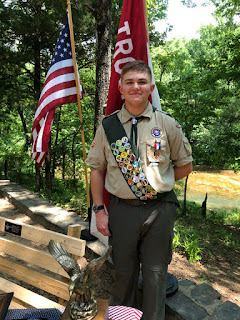 Liam’s ceremony, held at Chewacla State Park’s Lower Pavilion — the site of his Eagle Scout Leadership Service Project — included many of his fellow Scouts who have been in Scouting with him since his days as a Cub Scout, and who have served with him in a variety of troop leadership positions. The ceremony also included his grandfather, Sonny Cantrell, who offered the welcome, and his godmother, Brandy McMichael, who led the ceremony’s opening and closing prayers. After accepting the “Eagle Scout Charge” from Scoutmaster Andrew Baird, Liam’s mother, Sasha, pinned Liam with his Eagle Scout medal, and his father, Bill, presented him with his Eagle Scout neckerchief slide. In turn, Liam presented his parents with Eagle Scout mother and father pins to recognize their contributions to his success on the "trail to Eagle." Liam also received membership in the National Eagle Scout Association as a gift from the troop. Liam’s ceremony included additional special recognitions and congratulations from members of the community. Among these were honorary membership in the Alabama Association of School Resource Officers (the focus of his father’s service as a member of the City of Auburn Police Department); a resolution from the Alabama House of Representatives, presented by Alabama House District 79 State Representative Joe Lovvorn; and commendation letters from Alabama Department of Conservation and Natural Resources Commissioner Christopher Blankenship (who is the agency head of the Alabama State Parks), Ford Motor Company Executive Chairman William Clay Ford, and Advanced Micro Devices President and CEO Dr. Lisa Su. Scoutmaster Andrew Baird presents Liam with his framed Eagle Scout certificate. to Troop 50 in April 2014. During Liam’s closing remarks — which his parents would later refer to as “interesting” and “longer than his mother expected” — he expressed appreciation to those who had played roles in his development, education and advancement in Scouts. He honored several special individuals by presenting them with Eagle Scout mentor pins. Those included Scoutmaster Andrew Baird; Assistant Scoutmasters Wes Williams, Jason Smith and JP Pendleton; and his grandmother Jenny Cantrell. 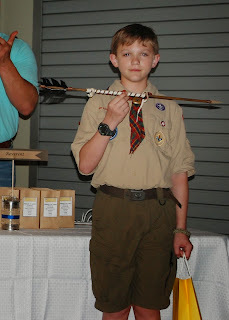 Liam joined the troop in 2014 after earning Cub Scouting’s Arrow of Light as a member of Pack 811. As a member of the troop, he has served in leadership positions that have included troop guide, lead instructor, assistant patrol leader, assistant quartermaster, and his current role as junior assistant scoutmaster. 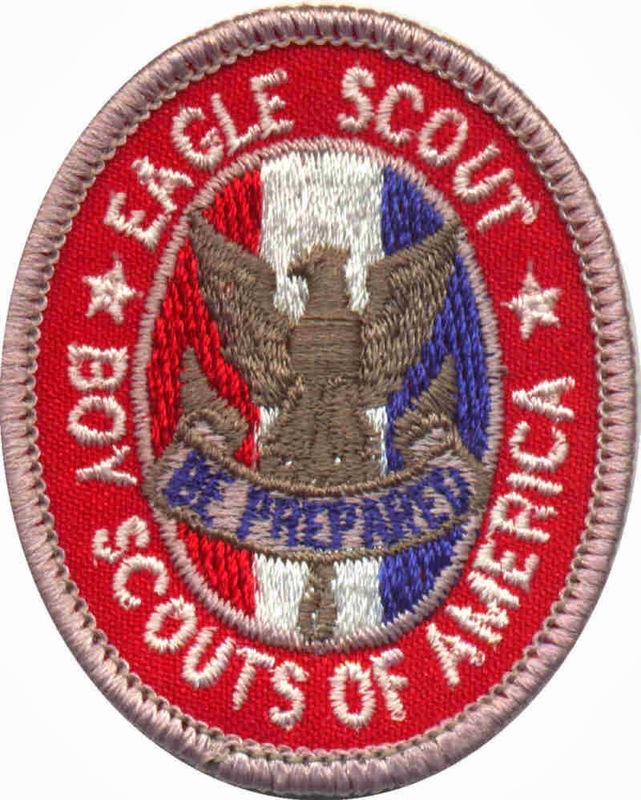 Through his Scouting participation, he has earned 31 merit badges to date, qualifying him for a gold Eagle palm at the time of his ceremony. He also has accrued 55 nights of camping, 83 hours of community service, and 39 hiking and backpacking miles. 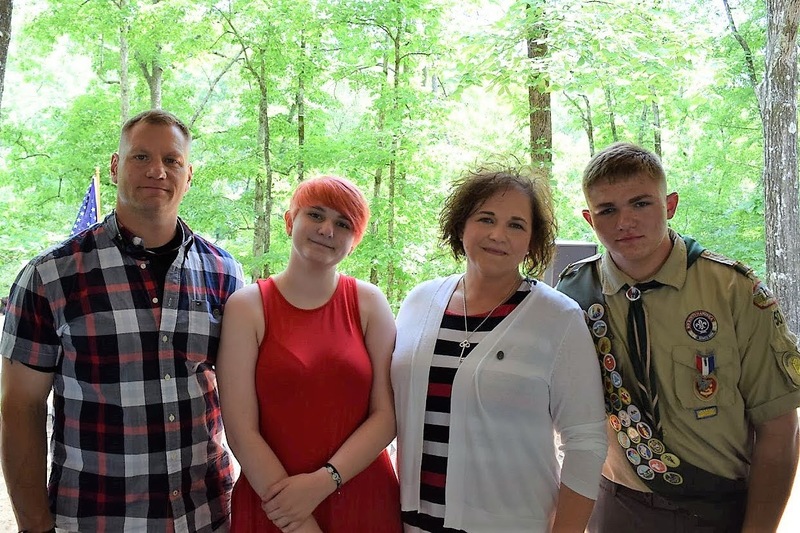 In addition to various troop-related outings and campouts, he attended the National Boy Scouts of America Jamboree in July 2017, held at The Summit Bechtel Reserve in West Virginia. Liam reviews progress on his Eagle Scout Leadership Service Project with his father Bill. 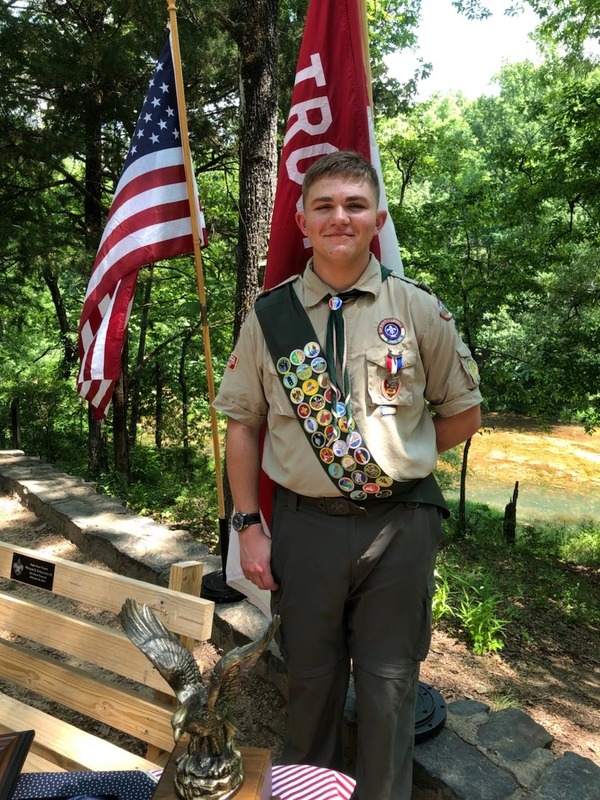 For his Eagle Scout leadership service project, Liam provided electrical service connections for a pavilion at Chewacla State Park in Auburn. The project entailed burying more than 400 feet of electrical cable to connect the pavilion to the power supply. Liam supervised a group of more than 15 Scouts and adults who contributed more than 200 volunteer hours. Liam is the son of William and Sasha Schallock of Auburn, and the brother of Emily Love Schallock. Currently, he is a rising 10th grader at Auburn High School, where he is a member of the Junior Honor Society. He also holds a first-degree black belt in Tae Kwon Do, and plays defense for the Auburn Youth Lacrosse Club Junior Varsity team. 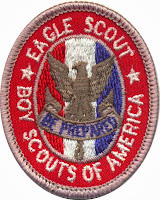 Since the first Eagle Scout was awarded in 1912, nearly 2.5 million Boy Scouts have completed the Eagle Scout’s performance-based rank requirements, which currently include serving in progressive leadership positions, demonstrating outdoor and Scouting skill competencies, earning at least 21 merit badges, and planning and executing a seminal Eagle Scout leadership service project. During 2017 alone, 55,494 Boy Scouts earned Scouting’s highest rank. For more photos of Liam's ceremony and service project, visit the troop's online photo album.